I started drinking coffee in my early 20’s. My husband always had a cup in the morning and one day, I said I would have one too. The rest is history. I was in love and that hasn’t waned over the years. I mean the coffee, not the husband! He’s long gone! The coffee and me are still very much going strong. I may have changed what I put in my coffee going from three cream and three sugar to just cream, but my appreciation for hot, smooth cup of coffee is the same. The first cup of the morning is always the best! I’m not alone. Canadians love their coffee. 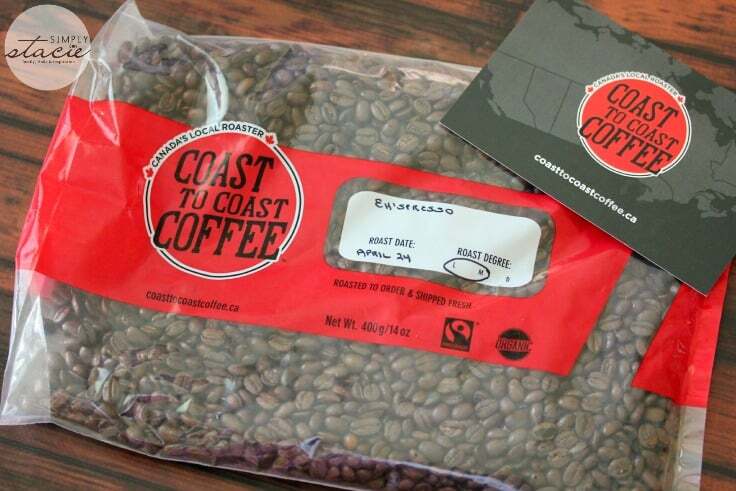 Today I want to share with you info about Canada’s local roaster, Coast to Coast Coffee. Like their name, they will ship to anywhere you live in Canada. Plus, they offer FREE shipping and pay the tax. It’s a match made in coffee heaven! Their goal is to provide you with the world’s best organic, fair trade and freshly roasted coffee, in small batches. They want it to be as fresh as possible so they ship the same day that it’s roasted. You can’t get much more fresher than that unless you roast it yourself which most of us are not set up to do anyways! In fact, they give you four great reasons to choose their coffee over other brands. 1. Fresh & delicious. I tried out their beans and can say they make a much better coffee than the beans you buy at the grocery store. There’s no bitterness and it goes down smooth and perfect, as coffee should. And it makes my house smell good too! Coast to Coast Coffee uses single origin coffees because they want you to experience how the flavours differ from where in the world they are grown. I know some say, “But coffee is coffee”. I can tell the difference though. Sometimes it’s subtle and others more pronounced. 2. Never worry about running out. Coast to Coast Coffee has recurring delivery plans and will automatically ship your beans right to your door depending on the plan you choose. There is never any commitments and you can pause or cancel at anytime. They indicate that a 400 g (14 oz) package will supply the average househould with about 2 weeks worth of coffee. You know your tastes best and can judge if you’ll need more or less depending how often you drink coffee. For me, with the amount I drink, I would go for the weekly order! They also have Bi-Weekly, Monthly and a One Time order too. 3. Saves You Money. 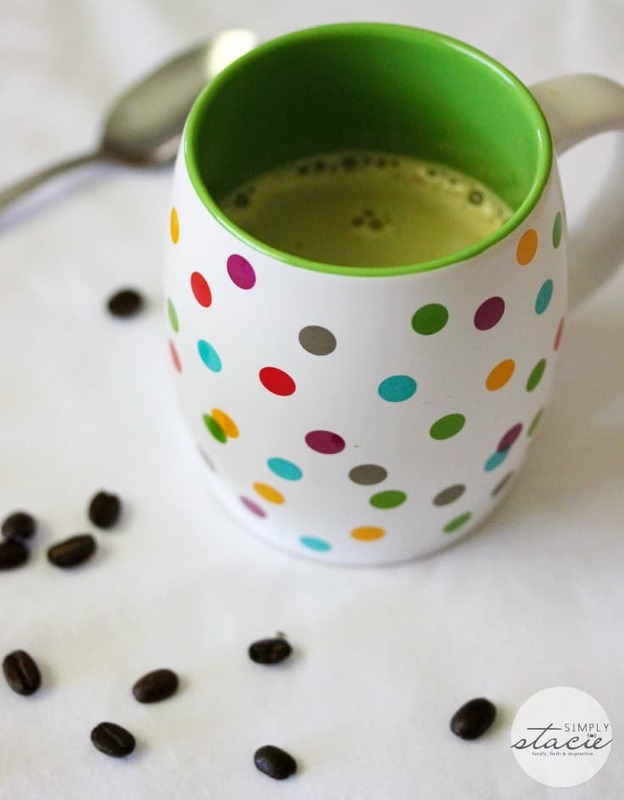 Brewing your own coffee at home is way cheaper than buying takeout coffee every day. I know because I used to do that. Now, it’s a treat to go for a takeout coffee and I actually prefer to make my own at home. It works out to be about 40 cents per cup with Coast to Coast Coffee. There’s no way you’ll find coffee that cheap at your local café! 4. Focus on Green. Coast to Coast Coffee offers certified organic and fair trade certified coffees that are produced without using artificial pesticides and fertilizer. They even use a green shipping package to send you the coffee. It’s made from 100% recycled post consumer waste cardboard and a biodegradable plastic liner. I think it’s great when companies take initiative to helping our environment! I tried the light-medium roast, “Eh”spresso with its hints of honey, sweet cocoa, toasted almonds and dark cherry. So yummy! They also make it easy to give the gift of coffee to a friend or loved one with the purchase of a plan or gift card. I have multiple people on my list that would go nuts for this coffee! Use the discount code simplystacie123 to receive $5 off your first order on any recurring plan (weekly, bi-weekly or monthly). This offer ends on June 30, 2015. This promotion code is not valid for customers who are currently on, or who have previously signed up for, a recurring delivery plan. Connect with Coast to Coast Coffee on Facebook, Twitter, Instagram and Google+. Learned they decided to focus on offering a selection of coffees that are Certified Organic and Fair Trade Certified. 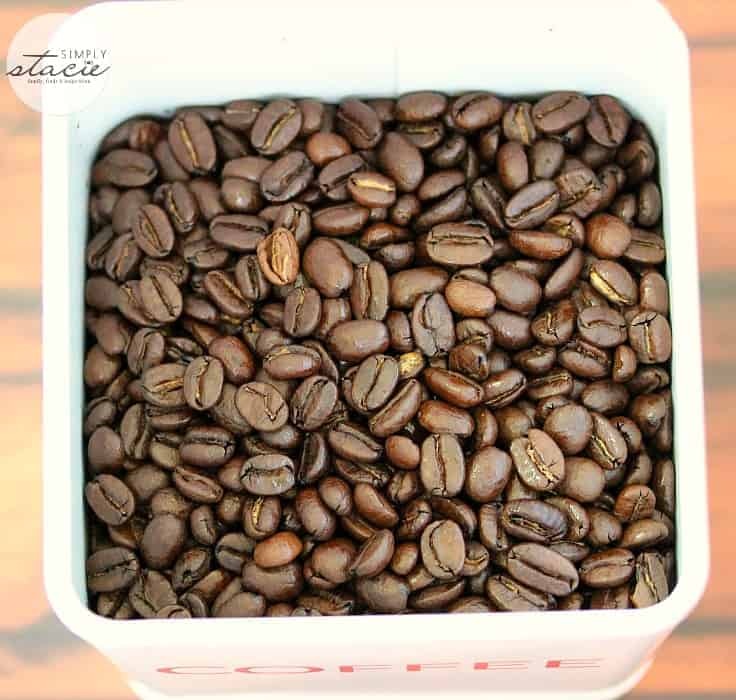 The brewing time of coffee prepared in a drip machine or via a steeping method should be approximately 4 to 5 minutes. Coffee delivered my house from a Canadian company! Love that it is certified organic and fair trade certified. Love that they use 100% recycled post consumer waste cardboard and have a biodegradable liner .